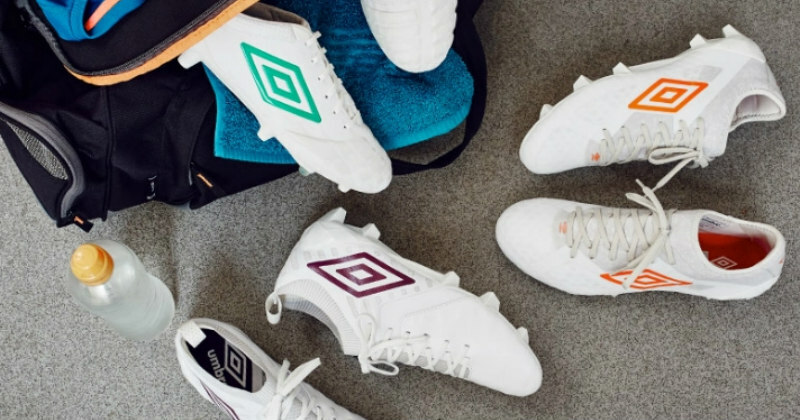 Get your Christmas list at the ready, because Umbro have unveiled a stunning new range in time to tear up winter pitches. 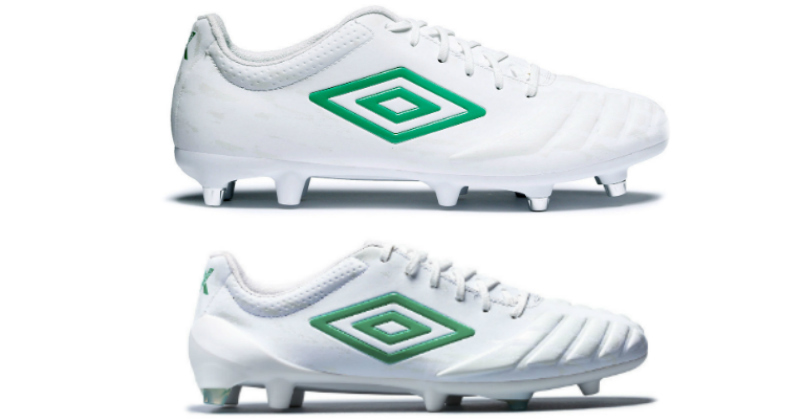 Introducing this absolutely stunning range of white-washed football boots from Umbro. Now there’s a slogan we can get behind! In fact, we could see this as the opening page of the Manifesto for football. The range is based around super clean-cut white lines, with separate colourways to represent each of the elements for success: colours balanced perfectly around the colour wheel to represent the equilibrium of ability. Representing enthusiasm, this boot is for the player who always wants the ball, no matter where it is on the pitch. Enhanced speed and touch is brought to the game by the speed outsole and one-piece K-leather upper, while the collar and heel are also contoured to maintain stability. The Medusae gets a splash of ‘Winter Bloom’ on white for a pop of colour to catch the eye and capture the imagination. The latest technology combines with years of experience to make generations collide… with a devastating outcome in front of goal. Tenacity is the name of the game with the vivid green Umbro colour scheme; a deadly comfort allowing grip and accuracy so the basics become second nature. These are the boots for the influencer; controlling the game from start to finish. Fancy yourself as a young Andrea Pirlo? Then the Umbro Accuro Pro could just be right up your street. The modern footballer isn’t complete without a few tongue-in-cheek skills stowed away in their back pocket. The flash of white and Scarlet Ibis should be the final blur defences see as your desire and bag of tricks leave them behind: watching hopelessly as the ball hits the back of the net. Get your Triadic collection football boots here at FOOTY.COM, where we compare the best prices on the whole range.